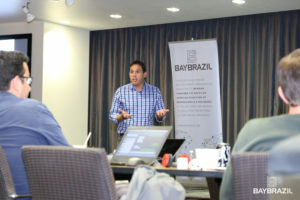 On Sep 14 & 15, 2016, BayBrazil & Google Developers Launchpad organized a unique workshop to help Brazilian startups with training and mentorship. 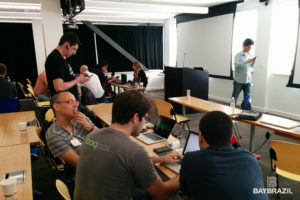 On Day 1, startups CEOs, CTOs, founders gathered at Google headquarters in Mountain View where they met with Google engineers, product managers for a series of discussions on product development and mentors roundtable. On Day 2, the group headed to Silicon Valley Bank, in Santa Clara, to participate in talks and mentor sessions with BayBrazil board members and Silicon Valley entrepreneurs, investors and tech executives. 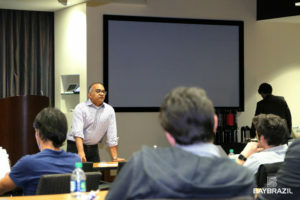 Nelson Mattos, BayBrazil Chairman of the Board, former VP, Emerging Markets, Google. Our thanks to the entrepreneurs, corporate members, mentors and our partner Launchpad for this enriching knowledge-sharing program!